The administration took promising steps in 2018 to improve the experience of citizens and others receiving government services. In June, the Office of Management and Budget issued thorough guidance requiring agencies with the highest-impact public services to collect, analyze and report insights from their customers, prepare plans for improving the customer experience, and appoint an official responsible for progress. The guidance draws on leading commercial practices and establishes a robust framework for agencies to better understand and act on the evolving needs of their customers. As they implement this guidance in 2019, agency managers should prioritize concrete steps that will enable lasting improvements. Over the past four years, in-depth discussions with leaders from many top agencies that serve the public consistently raised several key challenges and needs. The following recommended actions reflect their perspective and well-established practices that work effectively in top commercial organizations. 1. Designate a senior official responsible for the customer experience. Establishing a customer-centric culture—one in which improving the customer experience is a shared responsibility for all employees—provides the foundation for improving experiences with agency programs and services. Appointing a senior official with the authority, vision and leadership to tackle challenges from the customer’s perspective is a critical step toward this goal. However, of the 14 departments and agencies OMB identified as providing high-impact services, only four have chief customer experience officers: Federal Student Aid, the departments of Agriculture and Veterans Affairs, and the Trademark Business Unit of the U.S. Patent and Trademark Office. Senior leadership is especially critical for breaking down barriers that create customer experience challenges. Program staff, public affairs officials responsible for social media and agency websites, and legal officials who determine the language customers see on forms and notices, are just some of the people who need to work together. They traditionally operate in silos built around lines of business and service delivery channels. Adding to that difficulty, those employees often report to different people whose objectives and incentives can also differ. Without authority, customer experience officials may lack the clout to promote collaboration and address the root causes of customers’ issues, whether through policy or program changes, or by ensuring agency objectives align well with customers’ needs. 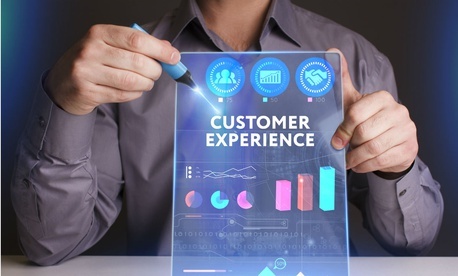 A senior official in charge of the customer experience also can ensure that customer data and insights are shared across the organization and are used to drive improvements. Some agencies have established a chief customer officer at the executive level who reports to the agency head. Other options include charging the deputy secretary or administrator with overseeing customer improvements or assigning a senior official to oversee all aspects of how a service is delivered. The State Department, for example, has a senior official in charge of all facets of the delivery of passport services. Any of these approaches can be effective as long as whomever is designated has the needed authority and accountability. 2. Analyze customer experience data for actionable insights. The OMB guidance defines the primary measures agencies should use for a better understanding of the customer experience, and to identify gaps and opportunities. To obtain this data, agencies should use surveys, comment cards and other customer feedback tools during customer interactions. Qualitative research methods such as observing and interviewing customers about their experience with agency services–-a technique used in human-centered design—should be done in tandem with surveys for a deeper understanding of customers’ perspectives on complex issues. Agencies should thoroughly analyze the data they collect, with a focus on revealing gaps, trends, opportunities to improve, and links between the customer experience and business outcomes. Generating meaningful insights from these efforts requires specialized skills for consolidating and standardizing data, developing analytical models, and building compelling visualizations that translate raw data into information that can guide decisions. To do this work more effectively, agencies need more flexibility than the Paperwork Reduction Act currently provides. The law requires that agencies navigate a complex clearance process when they collect feedback from more than nine members of the public. 3. Establish performance measures based on customer feedback. Agency leaders should use the new customer feedback reporting requirements as an opportunity to elevate the importance of customer experience data when developing annual performance plans and tracking how well agencies are doing. More agency performance measures should be based on customers’ perspectives and mission success than on typical measures such as the number of tasks agencies completed. Currently, only two of the 78 agency priority goals that federal departments and agencies list on performance.gov include measures based on customer feedback. 4. Make change management a priority. Agency leaders should incorporate change management strategies as employees shift more of their attention to customers. Improving services requires updates to long-standing approaches, from modernizing and streamlining complex business processes to simplifying the language used to communicate with customers. When designing and implementing process and policy changes, agencies need to get ongoing input from field offices from the beginning. Employees in the field typically interact more with customers than employees at headquarters. Next year will bring valuable opportunities for federal customer experience leaders to transform how their agencies deliver services. The above practices can prepare agencies to deliver a better experience now, and will also help them adapt to the changing needs of their customers in the future. Eric Keller is a senior manager at the nonprofit, nonpartisan Partnership for Public Service. Kathy Conrad is the director of digital government at Accenture Federal Services. She works with the Accenture Federal Digital Studio to help agencies use design thinking and service design to solve complex challenges, create great experiences and deliver mission outcomes.